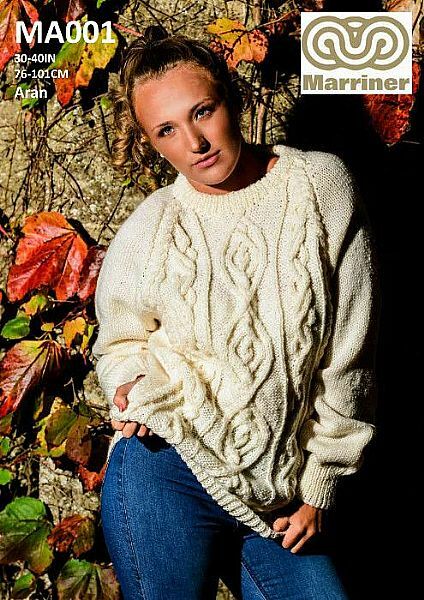 A slightly oversized, long sleeve jumper in Aran. This is the perfect winter jumper made with cosy Aran yarn and featuring classic cable knit detailing. Hooks required 1 pair size 4½ mm (No 7) and 1 pair size 5½ mm (No 5) knitting needles.